Presidential sister Eunice Kennedy Shriver started the Special Olympics in 1968 with the hope of transforming the lives of people with intellectual disabilities through sports. She was inspired by her sister Rosemary, who spent most of her life in a mental institution. The first Special Olympics games, a one-day event on July 20, 1968, were fairly small: About one thousand athletes from the United States and Canada competed at Soldier Park in Chicago in more than 400 events. Now, fifty years later, more than five million athletes from 172 countries compete. Kennedy Shriver died in 2009, but her son Tim Shriver is carrying on the legacy. He said the games have evolved since their first conception. "I think the reason we're in 172 countries is that people in all of those countries are hungry to participate in something bigger," Shriver said. "They're hungry to be reawakened to the power of compassion and encounter. They're hungry for gentleness, a little bit of kindness and that's the story that needs telling." 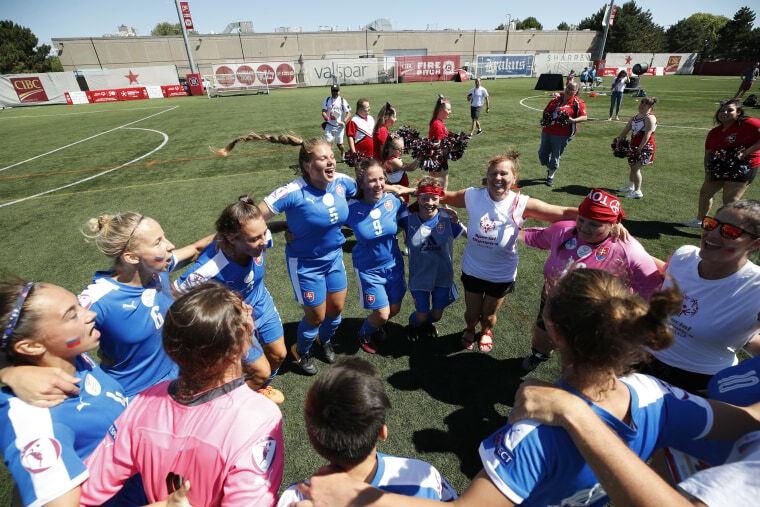 This year in honor of the Games’ 50th anniversary, a special unified program is being held, where athletes with and without intellectual disabilities will participate in events together. Athlete Cody Zimmer has been participating in the Special Olympics for the past nine years. He is playing on a unified soccer team. "It was frustrating at first because we didn't really know anyone. We were still working out the kinks," Zimmer said. "But once we figured it out and knew everyone's ability, we were able to adapt and work together and now we're getting better." The Special Olympics Unified Cup is taking place from July 17-20. Other events include a Global Day of Inclusion and a torch run. The organization says its goal is to help people with intellectual disabilities find confidence and new skills., and it also aims to raise awareness and change the attitudes of people who are not part of the disabled community. "I learn to accept myself for who I am, and other ordinary people, I feel like I'm more accepted in the general community as well," Zimmer said. This world, where differences don’t matter, is the world Eunice Shriver hoped for half a century ago.